Arrive at “Jose Marti” International Airport where you complete the immigration and customs process and meet your local tour guide. Your guide will take you to a welcome lunch at one of the best paladars (family-run restaurant) in Havana. Discover Parque Central and its surroundings. In the late afternoon visit “El Morro”, a fort at the entrance to the Bay of Havana and enjoy the panoramic view. The rest of the evening will be at leisure. Begin the day with a stroll throughout the cobblestone streets of Havana, and enjoy the architecture of this UNESCO World Heritage Site. This morning you will also visit one of the very few private educational centers in Cuba run by the Catholic church. Engage in a discussion with the nuns to learn how they manage to overcome the daily challenges to educate and provide for the kids. A panoramic tour that will follow with the visit to the historic National Hotel and the modern districts of the city. Tonight, enjoy a fun ride in vintage cars along Malecon and Old Havana en route to dinner in a premier paladar of Havana. Immerse yourself deeper in the culture and enjoy a Cuban music show on your last night in Havana. This morning you will continue to explore Cuban art and architecture. Stroll, with a local specialist, through the historic Colon Cemetery founded in 1876. Continue to “Finca Vigia” located east of Havana in the small working-class town of San Francisco de Paula. For around 20 years, the estate was Hemingway’s residence in Cuba. After the visit, head to Cienfuegos. The local tour guide will take this opportunity to talk about how is Cuba’s daily life and the cost of living among other topics. Upon arrival in Cienfuegos pay a visit to Tomas Terry Theater, and explore the main square declared UNESCO Heritage site. Thereafter, enjoy evening dinner at “El Cocinero”. Drive west to “Las Terrazas”, a community where a project of a sustainable rural economy was developed. Located in Rosario Mountain Range, the UNESCO Biosphere Reserve site still preserves ruins of 18th-century coffee plantations. Enjoy a family-style lunch in “Casa del Campesino” after the tour of the community. En route back to Havana, stop at Jaimanitas to visit Jose Fuster home studio. Engage in the discussion about the artist’s work and impact in his community. Depart for “The Perl of the South”, Cienfuegos. After the visit, head to Cienfuegos. 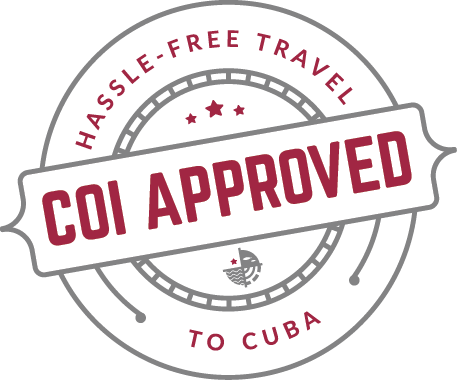 During the trip, the local tour guide will take this opportunity to talk about how is Cuba’s daily life and the cost of living among other topics. Upon arrival lunch, will be in a local paladar. In the afternoon pay a visit to Tomas Terry Theater, and explore the city’s main square declared UNESCO Heritage site. Stroll along the boulevard to get familiar with the daily life of the inhabitants of this southern city. Enjoy dinner at a local private restaurant. This morning you will explore Trinidad, a one-of-a-kind, well preserved Spanish colonial settlement frozen in time. Immerse yourself in the rich history of this town where huge sugar fortunes were made back in the 18th and 19th century. Pay a visit to the home studio of Carlos Mata and daughter Amaya to talk about their work. The stunning 19th-century colonial house of the Mata’s is also B&B. A brief presentation will be made about how do they manage to combine running a private business with their creative work. Return to Cienfuegos after lunch and enjoy the farewell dinner at a premier paladar in Cienfuegos. Transfer to Cienfuegos airport. Board your international flight home.